Creativity is nothing but a conversation and web design elements and practices work as the main threads of that conversation. 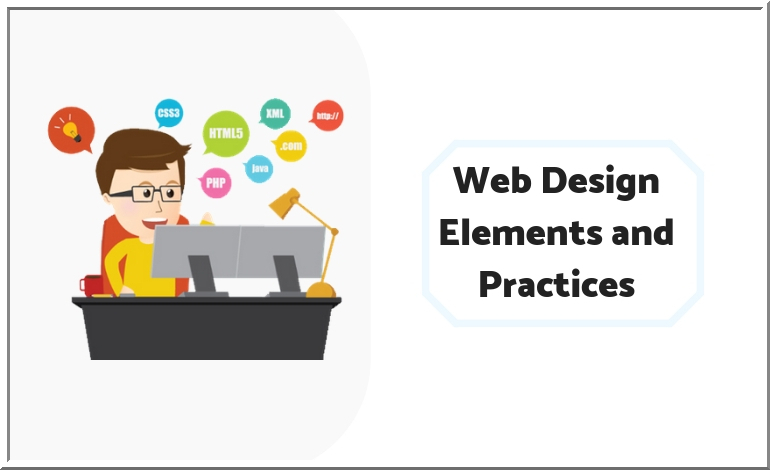 These are the elements or practices that differentiate one website form another or else it would have been a monotonous world without any variation or innovation. How and what you choose to adopt or resist depends on the type of website you want to create and your targeted audience. These tools make the website more engaging and interesting for your visitors instigating them to stay longer and explore the products and services you are offering. While there are many general practices that are adopted while designing a website, image captions are often-overlooked. People usually don’t apply it as a tool to add more style and substance to their websites, but they can actually be utilized to provide some insights and visual interest. They even have the potential to become the trademark of a particular website or brand. The agency you hired for eCommerce website development services needs to make the design that offers the best user experience and includes all the elements that help in higher rankings in the SERPs. Breadcrumbs help in both. It reduces the number of actions users need to get to the higher-level page or to trace the path back thus improving their experience on the website. It has numerous benefits when it comes to search engines too. You know that an average visitor spends just 3 seconds on a page that he or she decides whether to explore it further or abandon. Thus, your landing page should be so gripping that the visitors feel engaged and motivated to explore. The landing page should have two parts: Above-The-Fold and Below-The-Fold. It's Above-The-Fold that hits the screen right away and which the visitor first sees. All primary content like the gripping headline, important matter, primary call to action, an image or a video that illustrates your message etc. should be placed in Above-The-Fold. This part should be so strong and engaging that the visitors feel obliged to scroll down and come to Below-The-Fold. You can place the secondary and additional information here. This should contain all that educates and convinces the visitors why they should buy your products and services. You should include trust indicators like customer reviews and stuff. You hired a digital marketing agency to increase traffic to your large website and all their marketing strategies worked brilliantly. The next step is to convert a big chunk of this traffic into buyers. For it to happen, it is necessary that the entire process right from finding stuff to making payments, which is a multi-step process, be designed in such a manner that it is easy and seamless. The moment a person feels frustrated during this process, he or she won’t take a minute to abandon it midway. Progress trackers are implemented to help the users during this entire process. Seeing these trackers, they know how many more steps to go through before they are done. When used with a specific goal in mind, these progress indicators or trackers help in increasing the conversion rate by improving usability. The data you present to your users should be interactive in nature to gain their attention and involvement. The interactive maps are one of the best web design elements and practices when they invite action from the user. The user has the control to change visuals and try to see the relationship between the data and the content published on the site. The two fundamental features of the interactive map are panning and zooming. Using these, the users can focus on the part of the information they are interested in. The website designing world has huge possibilities and there are a large number of tools and techniques available to design the best website. There is no ‘one size fits all’ rule applicable in designing and you need to figure out what is best for your business. Micheal Anderson is an SEO expert with Techmagnate since last 5 years. He worked on various services such as app store optimization, video SEO, display advertising, email marketing, website customization etc.